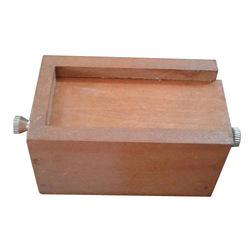 We are highly acclaimed in this industry for providing an optimum quality range of Wooden Battery Box. We particularly deal in Ford and Farmtrac Tractors only. 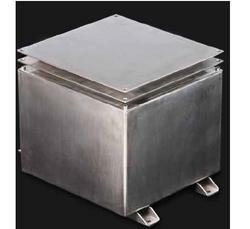 Defence Services use these sheet metal cabinet boxes for use as a battery holding case. It is made of CRC Sheet and well powder coated. It is fitted with handles to carry and is customized as per specifications. We are highly acclaimed as one of the leading companies that manufacture and supply an extensive range of FRP Battery Boxes. We manufacture a wide range of FRP Battery Containers in varying sizes & designs used across Railways, Telecom & Defence Sector. Our Clients are mostly Battery manufacturers who are large scale suppliers to these sectors have secured their approvals on our samples from various Research & Design Agencies. Mohan Rail Components Pvt. Ltd. Fabricated structure of pressed angles. - Used for holding batteries of locomotive. These battery boxes are used for the purpose of providing cover to the huge industrial voltaic cells and batteries to make them safe and secure for use and prevent accidental damages.